Chuck Palahniuk's startling and outrageous debut novel, basis of the hit movie starring Brad Pitt and Edward Norton. THE FIRST RULE about fight club is you don't talk about fight club. Every weekend, in the basements and parking lots of bars across the country, young men with whitecollar jobs and failed lives take off their shoes and shirts and fight each other barehanded just as long as they have to. Then they go back to those jobs with blackened eyes and loosened teeth and the sense that they can handle anything. Fight club is the invention of Tyler Durden, projectionist, waiter, and dark, anarchic genius, and it's only the beginning of his plans for violent revenge on an empty consumer-culture world. Written in stolen moments under truck chassis and on park benches to a soundtrack of The Downward Spiral and Pablo Honey, came into existence. The adaptation of was a flop at the box office, but achieved cult status on DVD. The film's popularity drove sales of the novel. Chuck put out two novels in 1999, and , published in 2001, became Chuck's first New York Times bestseller. Chuck's work has always been infused with personal experience, and his next novel, , was no exception. Chuck credits writing with helping him cope with the tragic death of his father. and the non-fiction guide to Portland, , were released in 2003. While on the road in support of , Chuck began reading a short story entitled 'Guts,' which would eventually become part of the novel In the years that followed, he continued to write, publishing the bestselling , and most recently, Chuck also enjoys giving back to his fans, and teaching the art of storytelling has been an important part of that. 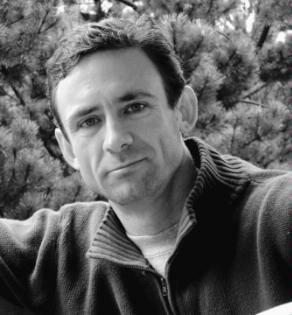 In 2004, Chuck began submitting essays to ChuckPalahniuk. net on the craft of writing. These were 'How To' pieces, straight out of Chuck's personal bag of tricks, based on the tenants of minimalism he learned from Tom Spanbauer. Every month, a "Homework Assignment" would accompany the lesson, so Workshop members could apply what they had learned. (all 36 of these essays can currently be found on The Cult's sister-site, LitReactor. com) .Then, in 2009, Chuck increased his involvement by committing to read and review a selection of fan-written stories each month. The best stories are currently set to be published in , a forthcoming anthology, with an introduction written by Chuck himself. His next novel, , is due out in October 2014. Manufacturer: W.W. Norton & Co.